The philosophy that guides ELI in all of its endeavors has four tenets: Excellence, Dynamic Renewal, Innovation, and Therapy. We at ELI believe that our authority and credibility are derived from our abiding commitment to excellence in everything that we do. All of ELI’s therapists have earned a Masters degree or higher. Their training in abuse-focused therapy makes them the best in Israel to treat children who are abused and their famililes. Change is the only constant in life – just as true today as in the 5th century BC when the Greek philosopher Heraclitus conceived the notion. To stay viable and relevant, organizations must be vigilant to detect societal trends and address emergent needs. ELI strives continually to be dynamic, nimble and responsive to ever-changing conditions – for the good of the children. 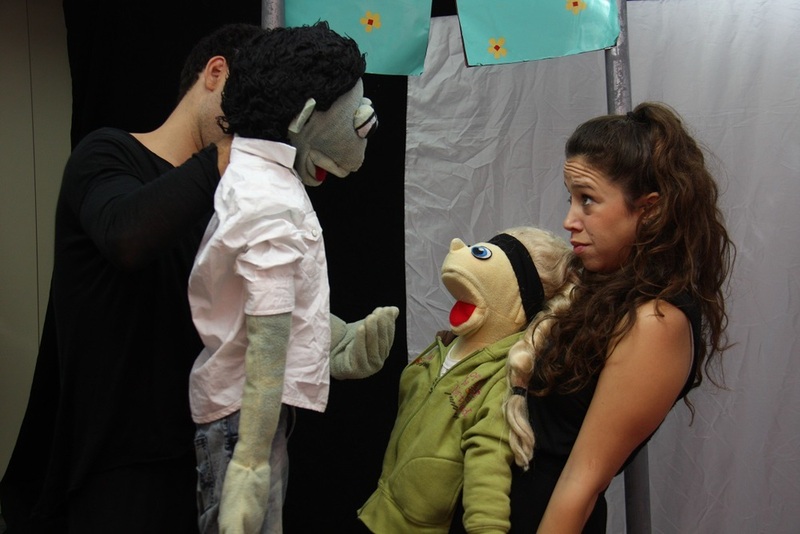 ELI uses puppets to teach schoolchildren about abuse. What comprises abuse today is different than in 1979 when ELI was founded. At that time, the Internet was a relatively crude platform used for academic research. Today, the Internet is a modern convenience found in nearly every home. But it is also misused by sexual predators. ELI addresses the problem of online sexual predators in inventive ways, through peer counseling and theatrical abuse prevention programs in schools. In fact, ELI was recognized in March of 2012 by three of Israel's largest charitable foundations as having the most innovative new program by a non-profit organization for its clever treatment of the issue of safe Internet use. Abuse prevention programs are plentiful, but ELI's commitment to every child in Israel is profound. For diverse groups in the country, ELI presents theatrical programs that are sensitive to their cultural norms – for Orthodox children, Arab children, Ethiopian and other immigrant communities, for older audiences who may face more complicated scenarios, and most recently for special needs children. As long as new forms of abuse appear in our world, ELI will address them in timely, sensitive and imaginative ways. ELI crafts an independent, unique and original approach for each of its program areas, seeking the approach that will yield the best results. A few examples follow. Dolls with body parts missing, bloodied or bruised raise public awareness of child abuse. To serve children who live too remotely to visit ELI's offices in Tel Aviv, ELI has a network of Satellite therapists who reside throughout Israel and deliver services in cities, towns and regions outside of Tel Aviv. ELI's Mobile Therapy Unit, a cargo van with a therapy room retrofitted in the cargo space, enables ELI to reach those children that Satellites cannot reach. When time is of the essence for a successful intervention, the Mobile Therapy Unit facilitates rapid response to calls for help. Israel today reminds us of America as a melting pot. To gain the trust of groups with diverse cultural norms, ELI studies those norms and innovates. For instance, realizing that the "Coffee Ceremony" is the time when Ethiopian people chat, socialize, and gossip, ELI participates in the ceremony, using that time to gently introduce group therapy as a beneficial way to help children and families, making the notion more palatable to its Ethiopian clientele. When ELI realized that immigrants from the Former Soviet Union were fearful of the ELI hotline due to previous experiences with Russian authorities, a new strategy was sought to encourage reports of abuse. ELI adopted a new marketing strategy through the work places of many new immigrants, because that is how information about social services was delivered in the FSU. No one method works best every time. To solve new problems, innovation is necessary. Innovation is ELI's hallmark. Emotional scars from abuse are deep and severe. Survivors of abuse internalize their pain and lose trust. They are not able to perform optimally in school, the family or society. Without therapy, the problem remains for lifetime and potentially for generations. Abuse-focused therapy is the only reliable method to heal the scars, diminish the pain, and help children who were abused to regain trust in themselves and others, so that they can go on to lead healthy, normal lives. ELI's highly trained and talented staff of clinicians is Israel's best for conducting abuse-focused therapy. ELI contends that abuse is a symptom of trouble in the family unit, not just the perpetrator. Where possible, ELI offers therapy to both victim and perpetrator, and siblings, other parents and extended family members. Treating the entire family is the most successful approach to understanding the origins of abusive patterns, and eliminating them. The abuse of a helpless child cannot be grasped by the mind or accepted by the heart. Protecting children is our obligation, as parents, as adults and as a society. Statistics show that 350,000 children in Israel are considered at risk of child abuse. ELI’s mission is to help the most vulnerable among them, the severely abused children.